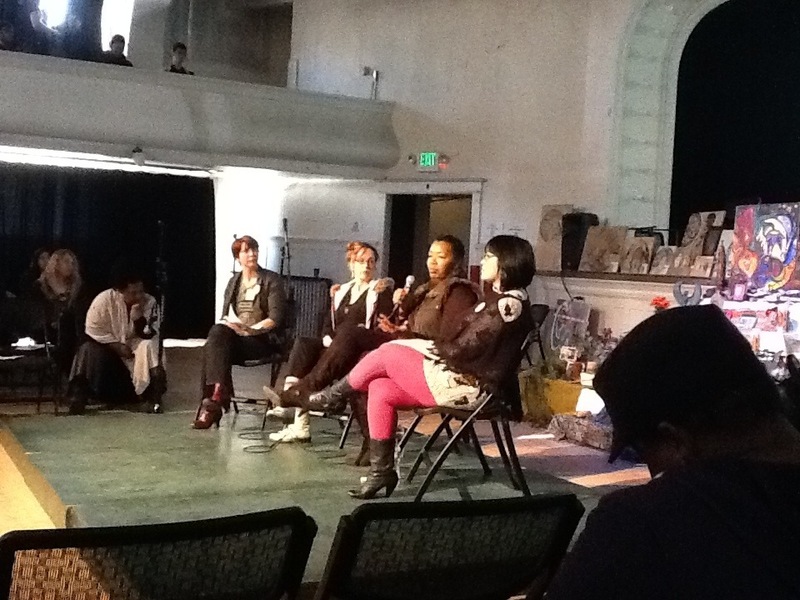 Gretta Harley, Sheila Jackson, and Kitty Wu are talking about film-making and/as archiving. They are filming people and communities who have been left out of documentation–women in grunge, black women in rock, for example. Angelica Macklin is asking how the film-makers exercise their creative decisions when watching a long interview, only a small part of which can go into the film. How do they think about how to archive the rest of the material. Listening is so important, I hear as a theme, openness, understanding that a plan shapes what you bring to it, but you need to be open to changing direction. Sheila says that archiving has become a significant part of her project. The topic is bigger than she thought, even bigger than the women she is interviewing for the film realized. Community-building, representation, recognition and archiving all connected for all three of these fil-makers. ← Michelle + Sonnet introduce the WWR Archive! !